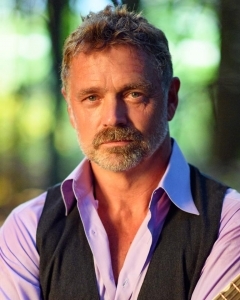 John Schneider is best known for his portrayal of Beauregard “Bo” Duke in the American television action/comedy series The Dukes of Hazzard, (opposite Tom Wopat, Catherine Bach and James Best), Jonathan Kent in the 2001–11 TV series Smallville (an adaptation of Superman), and James “Jim” Cryer on the television series The Haves and the Have Nots, created by Tyler Perry. John recently competed this season on Dancing with the Stars on ABC for seven weeks before being eliminated on November 5th. John is a celebrated country music artist with 10 albums to his credits and 4 #1 singles on the Billboard Country chart. This year, he launched an ambitious 52-song project, The Odyssey, releasing a song a week throughout 2018. He will release his much-anticipated Greatest Hits album in December. When they talk about class acts in this business, they can add John’s name to the list. It was a pleasure to catch up with him and find out what’s keeping him busy in both his personal and professional life. I also took the opportunity to fan-girl and share my obsession with the Dukes from a young age. Take a listen to the full interview below. And yes, I still do have that Dukes lunchbox (ask my mom). Follow John’s adventures at www.johnschneiderstudios.com.